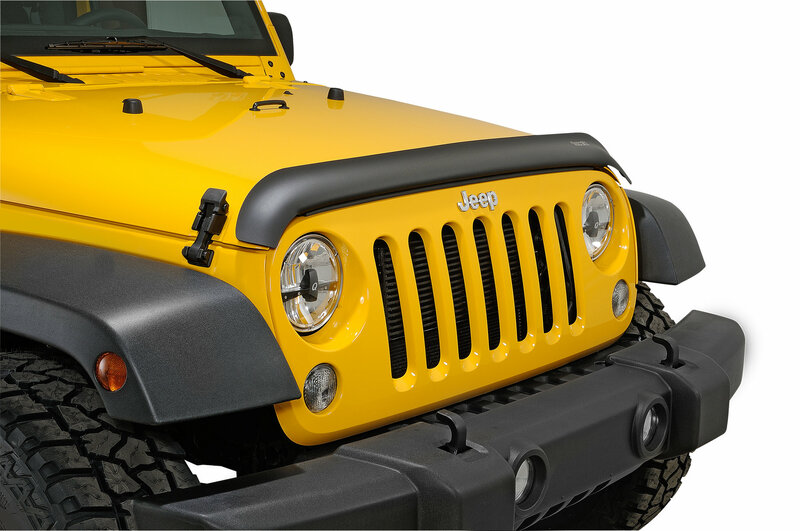 Tired of bugs and road debris ruining the look of your hood and windshield? 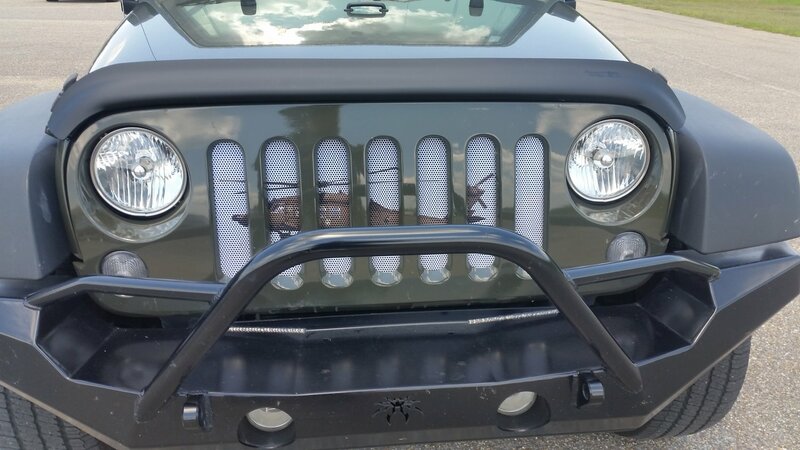 The new Bug Deflector from Rugged Ridge takes care of that and creates a great unique look, especially when combined with the Window Visors. Good looking product; however, as far as deflecting bugs, I saw no change. I just got back from a 800mile road trip and every time I stopped for gas I had to scrub off a ton of bugs. 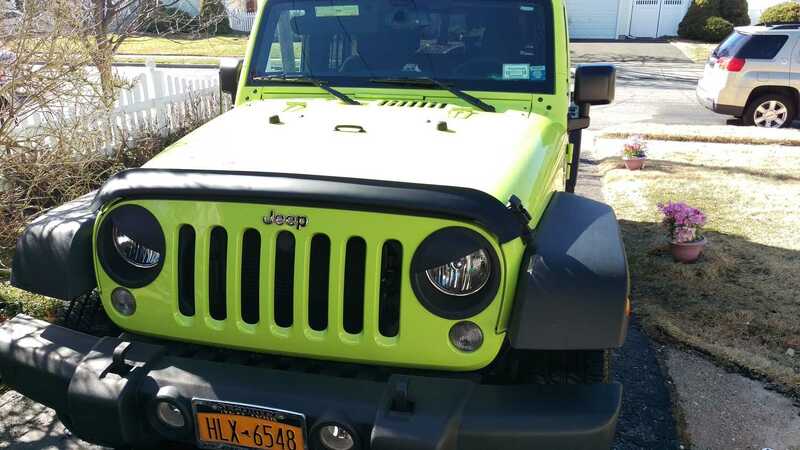 Granted I bought my 2008 Jeep Wrangler with it already installed, so I haven't seen a before and after, but again I haven't seen any deflection of bugs what so ever. Very easy installation just lining it up was the hardest part. I didn't remove the backing tape till I had started both screws their is plenty of room to remove the plastic off the tape once you have it were you want it. 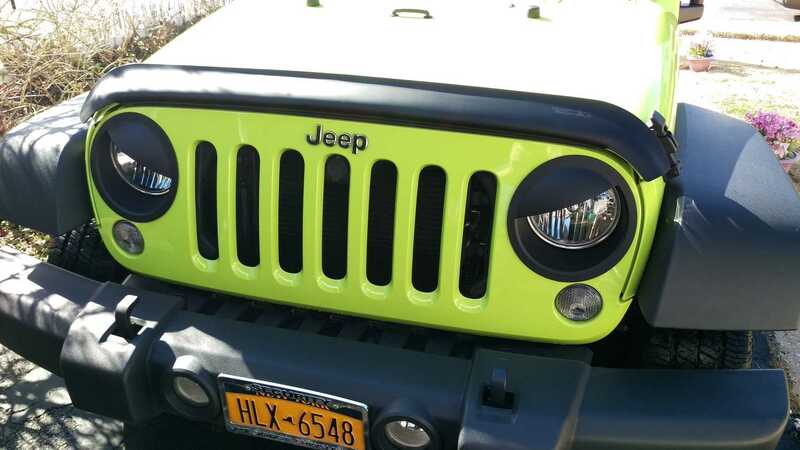 Does it wor yes I drove 80 miles after installing and only a few bugs got by. Did it effect the windshield washer yes. I tried it at 20 no issues 40 no issues at 50 you can tell the fluid started to get pulled away from windshield st 60 and 70 washer fluid was getting pulled away but enough got on the windshield to do the job. This is a good add on of the price. Took maybe 15 min to do by myself. 5 stars!